For the past five or so years FX has been at odds with AMC for cable television supremacy, with each network vying for critical and ratings success. AMC has its holy trinity of Mad Men, Breaking Bad, and The Walking Dead smashing ratings and bringing critical praise throughout the year. FX, while not as popular ratings wise, still manages to impress critics just as much with shows like Justified, Louie, and Sons of Anarchy. The newest addition to FX’s lineup is The Bridge, a heavily hyped series intended to bring in viewers who are in need of a quality TV show in the downtime between the end of Mad Men’s season and the beginning of Breaking Bad’s. 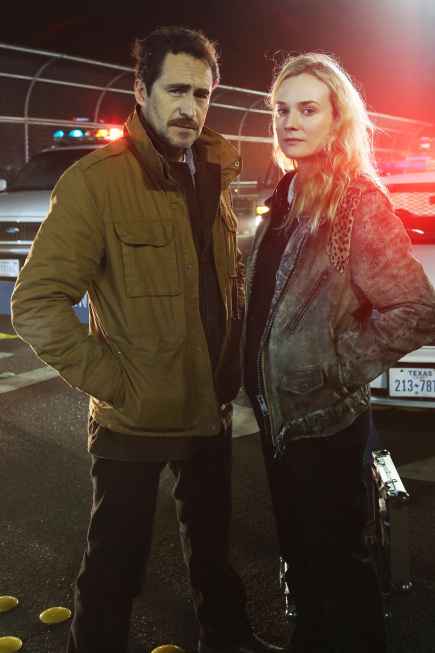 Based off of a Scandinavian series of the same name, The Bridge follows two law enforcement agents from neighboring countries that must work together to solve a murder where the body was placed exactly along the border between each country. While the original series dealt with the border between Denmark and Sweden, FX’s version relocates the crime scene to the US-Mexico border. The two leads are Mexican detective Marco Ruiz and Texas detective Sonya Cross, played by Demian Bichir (A Better Life) and Diane Kruger (Inglorious Basterds) respectively. Ted Levine (Monk) also appears doing his best Tommy Lee Jones impression as Cross’ supervisor Lieutenant Hank Wade. The confusion among border police is further complicated when it is revealed the body found on the bridge is in fact composed of two bodies cut in half, the top half being an El Paso judge and the bottom half being a Mexican prostitute. The tense political situation revolving around the US-Mexico border is a major factor in the case and in the interactions between the detectives, yet the show thankfully never feels overly preachy or heavy-handed when dealing with the subject. Coupled with this is the storyline of a kidnapper who promises young girls in Juarez an opportunity to be smuggled into the US, but instead locks them away in his trailer. While the link between this kidnapper and the bodies found on the bridge is initially unknown, it’s certain they will tie together as the show goes on. Bichir and Kruger disappear into their roles, effectively portraying the stress and emotional toll that investigating a serial killer can take on the mind. Cross, who seems cold and distant towards most people at first, is revealed to actually have Asperger’s and a great degree of difficulty normally interacting with people. Ruiz, an aged veteran, has a good amount of emotional and physical baggage as well as family issues. Both detectives have the thousand-yard stare for totally different reasons and yet are still perfectly relatable characters to the audience. The pilot is directed by Gerardo Naranjo, who also helmed the incredibly underrated crime film Miss Bala. Naranjo does an outstanding job of giving the show an ominous and dark feel without being overly gloomy or nihilistic. Next to the similarly serial killer themed Hannibal, The Bridge is one of my favorite pilots so far this year. 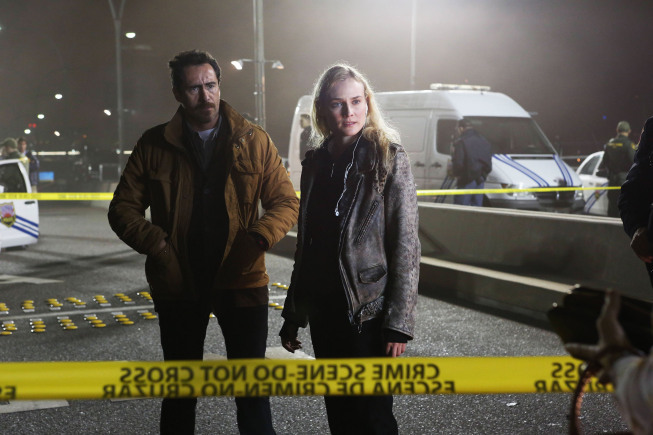 An addictive show that beckons the viewer to constantly keep up and keep watching, The Bridge is yet another killer addition to FX’s lineup.